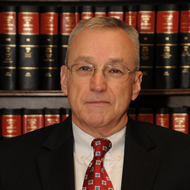 Mr. Autry began his legal career with the U.S. Marine Corp as a Captain in the Judge Advocate Division. Since 1979, Charles’ practice has focused primarily on the representation of Electric Membership Corporations and related entities in corporate and power supply related matters. He has extensive experience in the negotiation and drafting of complex power supply, natural gas, and construction contracts and in corporate and financial matters involving cooperative electric and gas utilities. Born in Stone Mountain, Georgia, Charles received his Bachelor of Arts from the University of Georgia, his Master of Business Administration from Georgia State University, and his Juris Doctor from the University of Alabama School of Law. Charles also received a Master of Laws in Taxation from Emory University School of Law. Charles is co-author with Roland Hall of the book The Law of Cooperatives: A Handbook for Lawyers, which is published by the Business Law Section of the ABA. Charles has co-authored several articles, including Liability of G&T and Distribution Cooperative Officers, Directors and Managers Under Environmental Laws, NRECA Management Quarterly (Summer 1997); The Advantages of the Cooperative Model for Broadband Services in the Cooperative Business Journal (July/August 2009); Natural Gas Deregulation in Georgia: A Market in Transition, 8 Ga. Bar Journal 19 (Dec. 2002); and Mediation: Effective Resolution of Contract Disputes, NRECA Management Quarterly (Fall 2005). He is admitted to practice law in Georgia and in the District of Columbia. Charles is a member of the Electric Cooperative Bar Association, the Atlanta Bar Association (Member: Section of Alternate Dispute Resolution), the State Bar of Georgia, and the American Bar Association (Member: Sections of Environment, Energy and Resources; Public Utility, Communications & Transportation; Dispute Resolution; Alternate Dispute Resolution Subcommittee of Energy and Natural Resources; and Business Law). He is past chairman of the Georgia Electric Membership Corporation Counsel Association and currently serves as its treasurer.